Home > road trip wednesdays > Road Trip Wednesday #70: Like Mandarin! Road Trip Wednesday #70: Like Mandarin! Welcome to our 70th Road Trip Wednesday! Road Trip Wednesday is a "Blog Carnival," where YA Highway's contributors post a weekly writing- or reading-related question and answer it on our own blogs. We'd love for you to participate! Just answer the prompt on your own blog and leave a link in the comments - or, if you prefer, you can include your answer in the comments. This week, we're celebrating the release of my book, Like Mandarin! In Like Mandarin, 14-year-old Grace Carpenter would give anything to be like 17-year-old Mandarin Ramey -- the bold, carefree wild girl of their small Wyoming town. Many people I've spoken to experienced that sort of longing as a teen -- a longing to be like someone else. A friend, a sister, a celebrity, an acquaintance, a cousin, a teacher or, as in Grace's case, a girl you thought had no idea you existed. I know I did! I'll be giving away a swag pack to one of the commenters* every day of the tour. All commenters are also entered to win a signed, annotated AND doodled-in copy of Like Mandarin. I also want READERS to participate. And I don't know any group of readers who are more awesome joiners that YA Highways RTW participants! So: everyone who follows the prompt on their own blog, today or anytime before Friday, March 18th, will be entered to win a SECOND copy of Like Mandarin -- also signed, annotated and doodled in! Plus swag. Michelle: "Every single mouth in the room dropped, but she didn’t notice..."
Amanda: "The beautiful thing: we were all awkward teenagers . . ."
Emilia: "Four years later, I don't go to all the parties (what happens at those, anyway?)..." Leila: "I'm going to call her Gabriella, although that wasn't her name..."
Kaitlin: "I thought that maybe someday, I would feel confident like that too..."
Kristin O: "I'm going to have to take you back through a series of embarrassing melodramatic flashbacks..."
Kate: "I'm prone to girl crushes." Kristin H: ". . . sometimes the most simple are also the most profound." *Maybe sure your email is in your comments, or on your blog/profile, so I can contact you if you win! ohmygod yay! another chance to win Like Mandarin. I'm TOTALLY in--here's my entry! You guys have to stop spoiling us :D Participating in RTW is always something me and Pam look forward to and now that prizes are thrown in--it's even more sweet! Here is our RTW post...this post was mainly answered by Pam so I will leave her e-mail address. I don't have a blog, but surprisingly enough, in high school I didn't really want to be like anyone else. I was pretty comfortable in my own skin (or was just clueless to my own shortcomings) and if anything, I wanted to be like my mom! I'm such a boring person, but at least I'm content with who I am. I'm sick, so mine is short and sweet. Love love LOVE Like Madarin and love this prompt. Or maybe not so much ... as the title implies, it just might make me cry. What a great topic! Can't wait to get my hands on Like Mandarin! I blogged about it just a week ago! Here's the link to my answer for today's topic. Here's my entry - yes, I wanted to be a fictional character when I grew up. Email address in the sidebar. Yes, international! My blog post is right here, thanks you guys! Yay! Not that I need an incentive to participate! Yay! Loved this topic so much. And thanks for the contest too! Like Mandarin sounds wonderful! Haha! Here's my post! 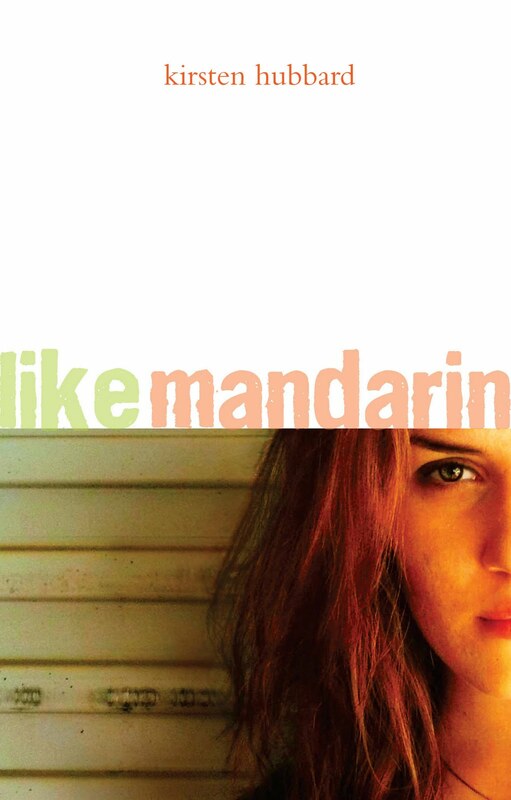 I'd love to win a copy of Like Mandarin! Well, I posted my comment on our teen blog. And, if I get anything free, it'll go straight to the teens! They'll love it! Here is mine! Thinking about my younger self... /sigh. Also, FYI: this week I won't be able to comment back on everyone else's posts until tonight or tomorrow! I'm so excited to read all these posts. thanks so much for participating, you guys! Woot! Happy release! I can't wait to get my hands on this book. Lots of responses this week. I love it. LOVED this topic, came at just the right time... even if I got a bit teary. My email is in the sidebar. Just stoppin by to snag a few - my answer is up too - on time - almost. Congratulations on the book. I love the cover!